Day of the meeting I was the only one there to speak against the fluoridation at the commission meeting. When I made my presentation the commissioners were very disrespectful, kept interrupting me to waste my time allocated, and didn't really seem to care. I put together a packet for each commissioner which cost me $50 in copy fees. 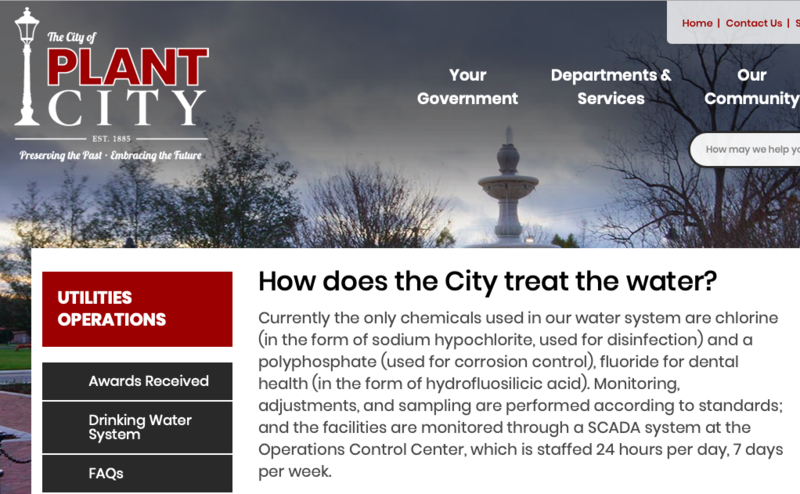 The day Plant City started putting fluoride in the water I called the Plant City First Baptist Church on Collins Street (specifically the child care area) and ask if the water tasted different. The lady I spoke with was shocked I called, they had notice there was a smell to the water and confirmed the water taste nasty. I shared the information I am sharing with you. I could tell she was overwhelmed and stressed. 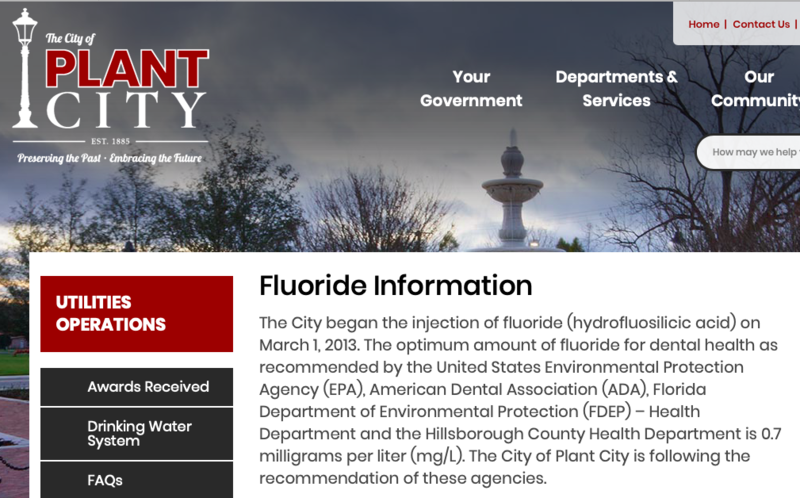 This is from the City of Plant City website: Quote, "The City began the injection of fluoride (hydrofluosilicic acid) on March 1, 2013." and "hypochlorite, used for disinfection) and a polyphosphate (used for corrosion control)"
Note the "Corrosion Control". Anyone following Flint Michigan and the water crises? This can be Internet search as to the cause. Anyone can Internet search the MSDS / SDS (Material Safety Data Sheets / Safety Data Sheet) Material for Comprehensive Information on what this stuff is they are putting in the water. I specifically stated to the Commissioner, "Per Dr. Dean Burk, Fluoride causes cancer" which for me was a huge issues among other issues it causes. I hope Walden Lake will consider discussion this topic. Maybe even go before the Plant City Commissioners and request they stop. 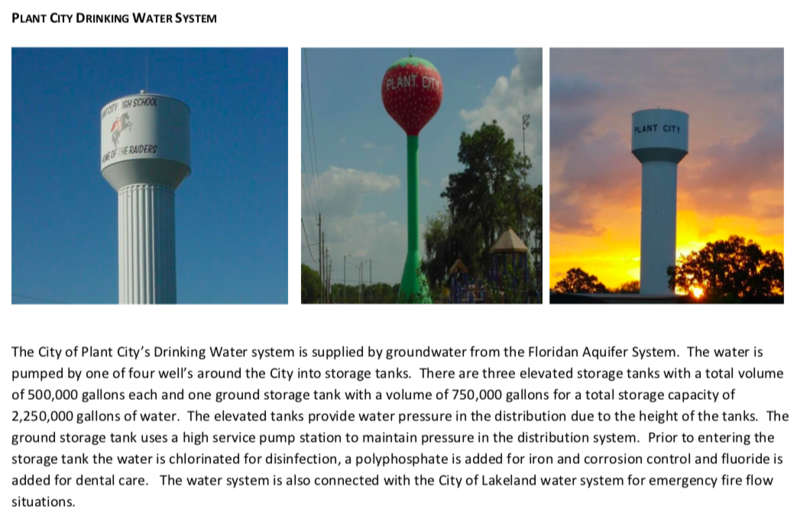 Think about this just for a moment, "Polyphosphate" in the water for corrosion control. Are you drinking this? What is it doing to the inside of your body?